Polling data in Egypt suggests that Islamist parties will gain a majority of seats in Egypt’s future parliament. While it is too soon to predict whether an Islamist government in Egypt can coexist with democracy, and whether it can adopt a truly “Egypt-first” approach which focuses on domestic concerns above foreign and external issues, recent developments raise concerns regarding Egypt’s future. This has been a bad year for Egypt’s economy. Unemployment has increased to almost 12 percent — its highest level in 10 years — with over three million Egyptians jobless. Tourism, one of Egypt’s biggest industries and a principal source of revenue, and has declined by more than one-third. Officials from the Muslim Brotherhood and the more conservative Salafist parties have proposed banning alcohol and the segregation of beaches. Hisham Zaazou, a senior tourism official, denounced these proposals, asserting that Egypt’s economy was already in dire straits and any additional restrictions would reduce the tourism industry even further. In such a combustible environment, the temptation for leaders to divert attention away from their citizens’ anger and despair is understandable. Historically, there have been numerous occasions in which emerging regimes in the Middle East have sought to distract its citizens by saber-rattling. When Gamal Abdel Nasser became president of Egypt in 1956, he expelled British and French residents and nationalized the Suez Canal. 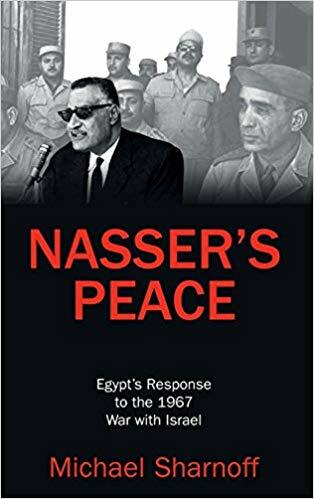 Britain and France, the principal shareholders of the Canal, viewed Nasser’s actions as an economic assault, and together with Israel, launched a devastating tripartite attack. Libyan leader Muammar Gaddafi overthrew the monarchy in 1969, and embarked on a campaign aimed at purging Libya from Western influence. He expelled Italian settlers and British and American military bases were evacuated. In addition to closing foreign bases and expropriating properties of Italians and Jews, the Italian cathedral in Tripoli became a mosque, all street signs were converted into Arabic, nightclubs were closed, and the production and sale of alcohol was banned. After Ayatollah Khomeini returned to Iran in February 1979, he incited anti-American hatred which instigated militants to seize the U.S. Embassy in November. In what became known as the Iranian hostage crisis, more than 60 Americans were taken prisoner for 444 days. While neither the Muslim Brotherhood nor the Salafists have called for the termination of Egypt’s peace treaty with Israel, both parties have insisted that the treaty be “reviewed.” There have been calls for a referendum in which voters could amend the terms of the treaty. Anti-Israel sentiment in post-Mubarak Egypt is already alarmingly high, with unprecedented acts of violence directed against Israel and Israeli targets. Since February 2011, militants have bombed Egypt’s pipelines to Israel (and Jordan) 10 times. On Sept. 9, an angry mob ransacked the Israeli Embassy in Cairo, forcing diplomats to flee. Moreover, incessant declarations questioning the fate of Egyptian-Israeli diplomatic relations could have an adverse effect on Israel, which has a history of taking threats seriously and subsequently retaliating militarily. While it remains to be seen if Egypt’s Islamists will govern with an “Egypt-first” approach, historical precedents suggest that they may turn increasingly xenophobic and engage in foreign gambits. It should be incumbent to realize that if these actions occur, the Islamists’ actions should be judged accordingly.